Maine residents may make a will to dictate how their property is to be divided. For the will to be valid, it must comply with Maine’s required formalities, such as being in writing and witnessed by two witnesses. Alternatively, it can be accepted without witnesses if the signature and important provisions of the will are in the decedent's handwriting. 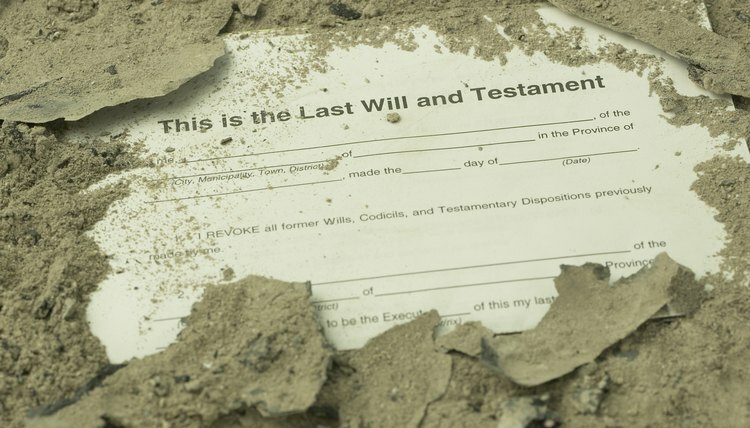 If you die without a will or with a will that doesn’t meet these formalities, you are said to have died intestate and Maine’s laws of intestate succession will determine who inherits your property. Under Maine’s intestacy law, a surviving spouse, or surviving registered domestic partner, has priority over other possible heirs. If you die without a surviving descendant or parents, your spouse will inherit your entire estate. If you do have a surviving parent or surviving children, who are also the children of your spouse, your spouse will inherit the first $50,000 of your estate and half of the remainder of the estate. If you have a surviving child who is not the child of your spouse, your spouse will receive half of your estate. If your children survive you, they are entitled to a portion of your estate. If your spouse also survives you, your children will share in the portion of your estate that your spouse does not inherit. For example, if you have two children who survive you who are also children of your spouse, your spouse will inherit the first $50,000 and half the remainder of your estate; your two children will split the other half, each receiving one quarter of your remaining estate. If you do not have a surviving spouse, your entire estate will be split amongst your surviving children. If one of your children has died and left children of his own, his share will be given to his children. Your surviving parents will inherit if you have no surviving descendants. If your spouse survives you, your parents will inherit the portion of your estate that is left after your spouse receives the first $50,000 and half the remaining estate. If your spouse does not survive you, your parents will receive the entire estate. Your parents’ share will be divided equally between them. If none of your parents, children or spouse survive you, Maine gives your estate to more distant relatives, starting with your siblings. However, if none of the relatives in this hierarchy are alive, your estate will “escheat” to the state, meaning the state will inherit your estate. If you received any court-ordered payments for restitution as a crime victim while you were alive, that money will be given to Maine’s Elder Victims Restitution Fund.